The Centenarian was a unique concept for Short Trips. 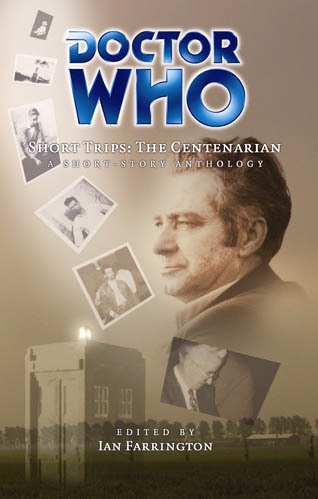 Every story had to feature the character Edward Grainger at a different point in his life, encountering the Doctor. The volume as a whole therefore told the life story of Grainger from birth to death, and recounted his meetings with the mysterious time traveller. My story was set during WWII, so I decided to eschew the usual settings and head off to Japan. This became my most heavily researched story to date, and it wasn’t easy. I struggled to come to terms with the books I read on Unit 731 and the horrific experimentation carried out on innocent people. In fact, so graphic was the testing of biological and chemical weapons on human beings, I had to take a step back. Unit 731 is like Alcatraz or Dresden, it’s pretty much untouchable for a sci-fi/fantasy writer unless you’re Kurt Vonnegut. Doctor Who can go to dark places, but not this dark. So I set the story in the Zhongma Fortress, the precursor to Unit 731 and others like it. Here, experimentation was in its infancy. Although still horrific and very harrowing to read about, it wasn’t quite at the untouchable level. So I had the most “adult” Doctor, #7, team up with Edward to infiltrate the Fortress. The Doctor was trying to find a specific prisoner, #384, and in that place prisoners were not referred to as human, but instead as logs, pieces of wood to be chopped up and burned. Hence Log 384. Kudos to editor Ian Farrington for letting me write it. This review from Styre talks about whether this subject matter is appropriate for Doctor Who. Log 384 — Richard Salter — I’m always a bit wary about stories like this. I think Salter has the right idea: Unit 731 isn’t something that most readers are going to know about, and putting Grainger through a first-person experience of the installation is a way to throw the reader into it. However, I’m not sure if a Doctor Who short story is the place for this, and I’m also not sure if the first-person perspective doesn’t somehow devalue the real suffering that went on there. It’s well-written, though — I just have some reservations. Maybe he was right. I thought it would actually trigger a lot more reaction in readers, but there was nary a ripple. This review, for example, hardly mentions the story at all.